The house is surrounded by a 4,800 m² large private property surrounded by meadows, shrubs and trees. The accommodation can accommodate max. 3 adults or 2 adults and 1 child. The third person can sleep on a fold-out bed-chair. The accommodation is located on the upper floor of our estate "Skjærnsøde" built in 1916, which has undergone renovation over the last 13 years both outside and inside. In the living room of 40 m² you will find two modern and comfortable sofas, a couch table, a 39 "LED color TV and a DVD player In the living room, you will find utensils of daily necessities, information brochures, games for the pastime, etc. For cozy hours, you can of course also use the existing wood-burning stove, which creates a harmonious atmosphere. This room can be heated by this stove. The bedroom is 17 m² and is equipped with a king-size double bed (200 cm x 200 cm), a fold-out bed (70 cm x 200 cm) and two dressers. This room is heated in the heating period (15.10 - 30.04.) via the central heating system. The fully equipped kitchen offers you a 4 * fridge with freezer, an electric stove with ceramic hob, a microwave, a coffee machine, a water cooker and a toaster / bread oven. Otherwise, the kitchen is equipped with all the necessary cooking utensils. There is also a dining table for 4 persons. We provide kitchen utensils, sponge and dishwashing detergents together with a kitchen roll. Spices for cooking are also available. This room is also heated by the central heating system. Also the bathroom is expediently furnished with bath, toilet, sink and cupboard space. A hair dryer is available. As an initial equipment, we provided hand soap and toilet paper. This room has electric heating. Unless otherwise agreed, the check-in time is 4 pm and the departure time is 10 am. Eine Ferienwohnung in zentraler Lage in Nordjütland, ausreichend Platz, gut ausgestattet und nette Vermieter ... und das alles zu einem hervorragenden Preis-/Leistungsverhältnis. Wir bedanken uns für diese Bewertung und diese spiegelt auch das wieder, was wir allen unseren Gästen bieten. Vielen Dank. Ihre Vermieter. Wir haben uns entschieden auf unsere Reise nach Schweden hier einen Aufenthalt einzulegen, um eine äußerst lange Fahrt zu vermeiden. Für den Ort haben wir uns entschieden, weil es zwischen 15 und 20 Minuten bis zu den Stränden der Nordsee ist und die Ferienwohnung einfach Recht günstig war. Wir haben es nicht bereut. Der Vermieter ist sehr freundlich und so hatten wir eine angenehme Unterhaltungen mit ihm. Unsere FeWo lag unter dem Dach, was bei um und bei 24°C meistens recht entspannt war. Es war alles da, was wir brauchten. Die Wohnung ist sehr weitläufig, so dass unser Kind Spaß dran hatte hin und her zu laufen. Es war nicht unbedingt kindersicher, was für uns nicht schlimm war, da wir den einjährigen eh nicht unbeaufsichtigt lassen. Die Sauberkeit war in Ordnung. Für einen ruhigen erholsamen Urlaub gut geeignet. Diese Bewertung steht im völligen Widerspruch zu den Aussagen und Bekundungen, die vor Ort abgegeben wurden. Wenn alles so toll war, sauber und ordentlich, verstehen wir die nur 3-Sterne Bewertung nicht. Der erste Eindruck der Wohnung: Wow, viel größer als erwartet! Wirklich liebevoll eingerichtet, sehr sauber und es ist wirklich alles da was man braucht . In der Wohnung sind auch ganz viele Flyer um zu wissen was in der Umgebung zu entdecken ist. Der Vermieter ist wirklich sehr nett und hilfsbereit. Die Umgebung um das Haus ist wirklich traumhaft und wir kommen gerne wieder! Preis-Leistung unschlagbar! Die Ferienwohnung ist sehr komfortabel ausgestattet und uns fehlte es an nichts. Der Vermieter steht einerseits mit Rat und Tat zur Seite, andererseits hat man seinen eigenen privaten Bereich für sich. Wir haben uns während eines Kurzaufenthaltes sehr gut erholt und würden diese Unterkunft immer wieder wählen. Super schöner Urlaub in einer tollen Ferienwohnung! An dieser Ferienwohnung gibt es nichts auszusetzen! Super schöne Wohnung mit allem was man braucht. Vor Allem die Gastfreundschaft mit den zahlreichen Ausflugtips hat uns sehr gefallen. Wir können diese Ferienwohnung nur weiterempfehlen!!!!! Auch wir bedanken uns für ihren Aufenthalt bei uns und es hat uns Spaß gemacht, Ihnen unsere nahe und weitläufige Umgebung zu vermitteln. The Jammerbucht (Danish: Jammerbugt) is an open water in the Skagerrak. The bay is a part of the Danish North Sea on the northwest coast of Jutland and stretches some 100 kilometers from Hirtshals via Blokhus, Slettestrand to Bulbjerg. The name of the bay is probably derived from "lament". It was this lamentation of the many sailors who had been stranded with their ships and disappeared over the centuries. In the north of Jutland, and just at the described Jammer Bay, an infinite number of seafarers had left their lives. In the second half of the 19th century alone, more than 1,200 shipwrecks occurred along the entire west coast. Some have also been caused by deceptive signs of the inhabitants who lived there. On the assumption that one would be on the right way to the next safe harbor, the landlords led the ships with their lamps to the dangerous reefs and then exploited the ships in beach-cleaning-manner. To the west there is the bay "Vigsø Bugt" to Hanstholm, in the north east extends the "Tannis Bugt" up to Skagen. The bay offers fertile fishing grounds. The harbors of Hirtshals and Hanstholm were only laid out in the 20th century to replace numerous small landings on the open sandy beach. In Løkken, Lønstrup, Slettestrand and Thorup Strand you can still see fishing boats on the beach, which are pulled into the sea or ashore with rope winches or caterpillar trawlers. The "Hirtshals Havn" was built as the first Danish port on the open North Sea from 1919 to 1930 and is now one of the largest fishing ports in Denmark. The port of Hanstholm was inaugurated after seven years of construction in 1967. However, tourism is now the most important economic activity in the coastal region - favored by wide sandy beaches, which can usually be driven by car. The coastal line is particularly at Lønstrup in spite of coastal protection measures endangered by erosion, while between Blokhus and the Bulbjerg the dune belts even increase - due to the quieter flow in the interior of the shallow bay. At the Jammer Bay you can walk through the unique and varied natural landscapes at all seasons. It offers you a variety of possibilities for activity. You can go for a walk in the forest and on the dunes, explore the forests by bike or mountain bike, enjoy golfing, disturbed seaweed, wind and kite surfing or simply enjoy the peacefulness of the peaceful fjord. 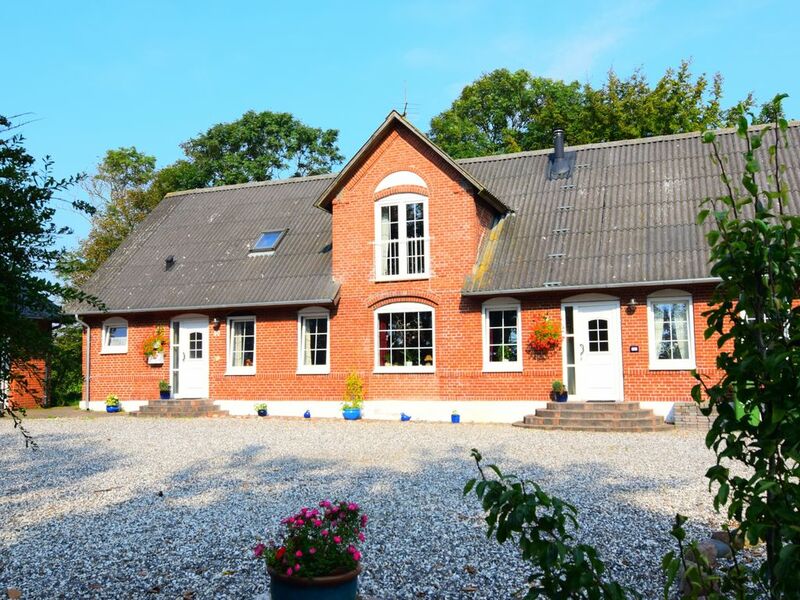 Kiting, biking, golfing, nordic walking, windsurfing, jogging, horseback riding - on the Danish North Sea coast, the right thing is guaranteed for every passion and every demand. Some of you will surely remember that at the Tour de France, a Danish man in the yellow jersey rolled over the Champs Élysées. Bjarne Riis is the name of this man. And his most important training camp was not in the Alps, it was in Denmark. No wonder, there is a well-developed and above all well-signposted network of cycle paths (up to the Nordseeradweg), which make every biker's heart beat faster. While golf is still an elitist in many parts of the world, the sport has almost the character of a popular sport. The atmosphere in the clubs is very relaxed, on many facilities there is not even a handicap and many places are seaside facilities with a fantastic view of the sea. Best opportunity, therefore, to give the holiday occasionally a bit of momentum. Okay, it's not really as warm as in Hawaii, but our surfing areas, e.g. at the Jammer Bay, but also has World Cup level. But that does not mean that you can not have an ambitious amateur as much fun here. And for all the nothingnesses the coast offers also great possibilities for day trips with the sailboat. Zuzüglich obligatorischer oder eventueller fakultativer Nebenkosten - Unten aufgeführt. Die Zahlung des Mietpreises ist nur in der vom Vermieter angegebenen Währung möglich. Zahlungen in anderen Währungen müssen vorher mit dem Vermieter individuell vereinbart werden. Nebenkosten / Additional costs: Endreinigung: Obligatorisch per Aufenthalt 250,- DKK (Zahlung vor Ort) / Final cleaning: Mandatory per stay: 250,- DKK (payable locally) Wäschepaket auf Wunsch: 75,- DKK pro Person und Erstbezug (Zahlung vor Ort) / Laundry package: On request per person and first time 75,- DKK (payable locally) Bettwäsche auf Wunsch: 45,- DKK pro Person und Erstbezug (Zahlung vor Ort) / Bed linen: On request per person and first time 45,- DKK - (payable locally) Handtücher auf Wunsch: 30,- DKK pro Paket und Erstbezug (Zahlung vor Ort) / Towels: On request per person and first time 30,- DKK - (payable locally) Energiekosten: Strom, Wasser und Zentralheizung (15.10. - 30.04.) inklusive / Energy costs: Included Kurtaxe: keine / Tourist tax: None Die Heizperiode gilt für folgenden Zeitraum:15.10. - 30.04. (Wintersaison) / The heating period is valid for the following period: 15.10. - 30.04. (Winter season) Zentralheizkörper im Schlafzimmer und Küche / Central heating in the bedroom and kitchen Im Bad eine Elektroheizung / In the bathroom an electric heater Der Wohnraum kann beheizt werden über den vorhandenen Kamin. / The living room can be heated above the existing fireplace.